Dwain Adams fine carving show was from September 4th to October 18th 2014. 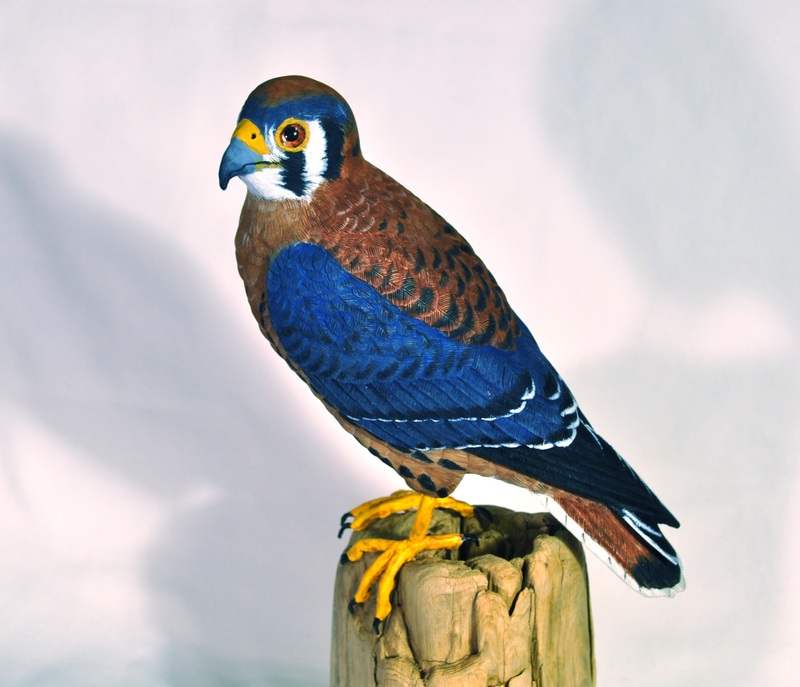 Dwain has been carving birds since he attended his first carving and decoy show on the Eastern Shore of Maryland in 1966. He likes the feel of a good sharp knife or gouge against a piece of wood. This, in addition to the enjoyment of seeing a bird emerge for a wood block, keeps him carving. 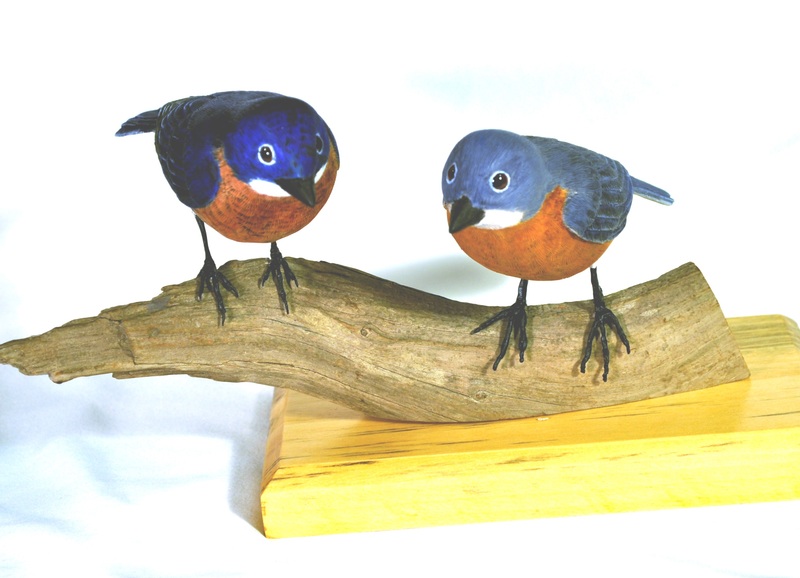 He carves decorative decoys as well as smaller songbirds. He has recently begun to work in watercolor media. Here, too, birds remain as his principal subject. 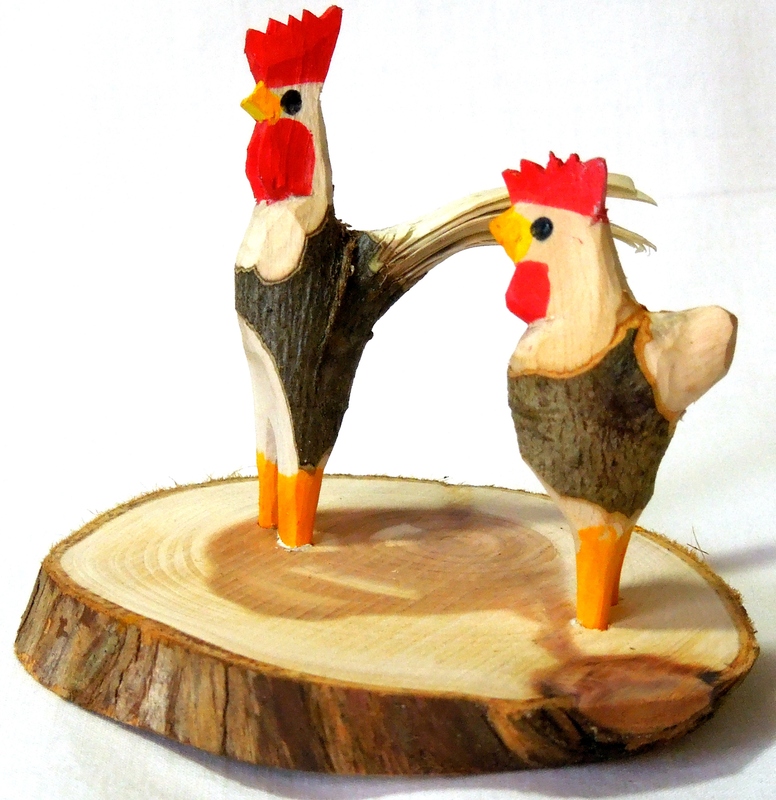 A special feature of Dwain’s show was a number of rooster miniature carvings which he offered for a donation of $20 or more to the Franklin County Arts Guild College Scholarship Fund. Latest word on the Rooster Booster Roster is that the funds raised for the Guild Scholarship fund is approaching $600. Thank you Dwain!